Transported to the secret Machine Moon that is home to the robotic resistance, TIM-21 and his friends are anxious to continue the search for Andy. But the robots of the The Hardwire would study TIM-21 first, for they believe his "dreams" of a robotic afterlife may be transmissions from a real place! Meanwhile, Andy will seek answers regarding where to find his robotic brother from the one person he least wants to talk to - the ex-wife who left him to join a cyborg cult. It is no surprise to those who have read his work that Jeff Lemire is skilled at world-building. 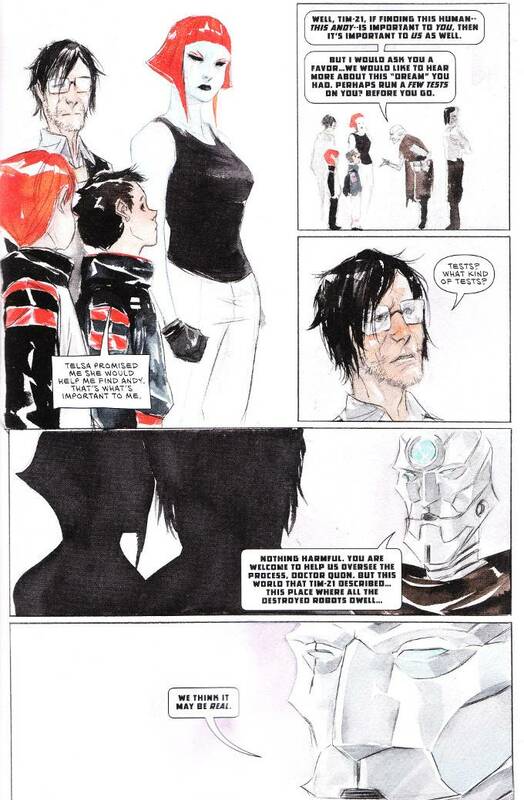 What is surprising, however, is how easily and subtly he expands upon the world of Descender even now. While cyborgs are nothing new, Lemire's concept of "The Between" is a unique take on the concept. 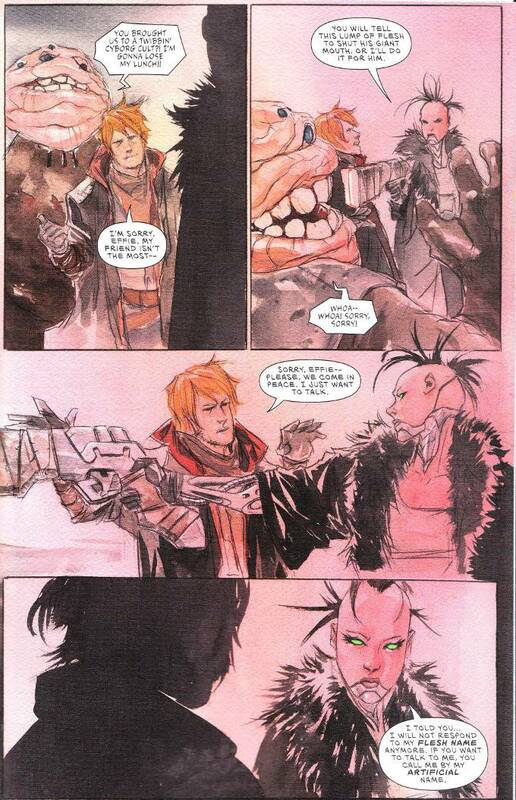 The artwork of Dustin Nguyen matches Lemire's scripts, beat for beat. There is a natural grit to Nugeyn's style that is perfectly suited to the grim world of Descender.Even the scenes on brightly-lit, well-cleaned spaceships seem to have a natural darkness to them!